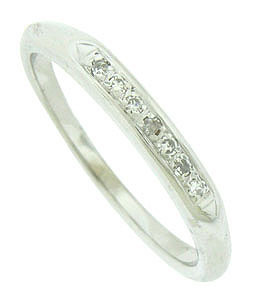 A sparkling string of fine faceted diamonds are pressed into the face of this romantic vintage wedding band. 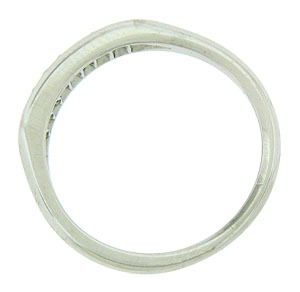 Fashioned of 14K white gold, the wedding ring measures 2.87 mm in width. Circa: 1940. Size 7. We can re-size.